There are many reasons why people choose fashion jewelry, especially fashion necklace. For one, it is very affordable and you can mix and match them as accessories for your clothes. The next reason is that you have a number of variable choices with these necklaces. The third reason could be attributed to their designs –bold and unique designs that people love. However, to make a sensible purchase, you must do considerable research. The wrong piece of jewelry can actually prove detrimental to your whole appearance. After all, people judge you by the way you dress so if you are not careful with your dress and its accessories, you are not going to draw any compliments. It is not that difficult to choose jewelry that go well with your dress, personality, figure, skin and hair if you follow some rules. While earrings concentrate on the beauty of your face, necklaces give strong impact on your figure. Here’s how. If you are tall then buy jewelry that will complement your height. You can actually direct the attention to your personality if you are careful with the kind of necklaces you wear. Sometimes, just a single strand of necklace would be great. Chokers are also good for your height. Dangling hoops on your ears will be striking, especially if you have a long neck. But never wear small studs because they may not look good on you. A single strand or pearls or beads will be good for people who are not tall. Chokers and very short necklaces may not compliment your figure well. You can wear chains that will fall just above your waist. If you are not proud of your plump figure, you can lessen the feeling of ‘plumpness’ by wearing long chains that reach up to your navel. Mono-colored long chains with simple ‘patterns’ would make you look exquisite. Thin necklaces may not complement thin women. Other than that factor, basically anything will look good on you. Bronze toned necklaces are great for women with dark tones. Chunky necklaces are funky but go for deeper shades so the result would be fabulous. If you can get hold of necklaces made with white metals, it will look great on you. 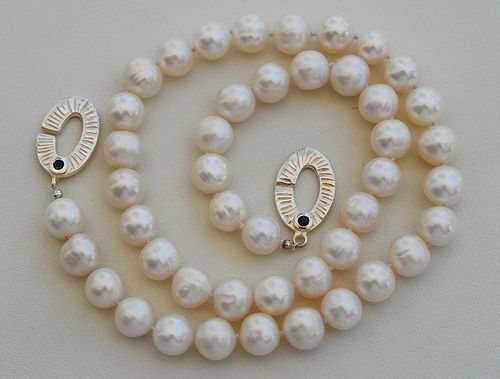 Generally, very fair women do not wear black pearls because the dark color could pale their complexion by comparison. If you have a round face, you can wear long necklaces because it will make your face less round. Long necklaces are good for square shaped faces too. On the other hand, if you have a rectangular face you can choose chokers; U shaped necklaces are also good for such people. Triangular- shaped faces and heart-shaped faces will look great on chokers and U-shaped necklaces. But avoid necklaces that stop vertically below the chin. If you are neither too tall nor too short, you can use your judgment to buy fashion necklaces. Almost anything will look good on you. So if you have the height and a figure to match, flaunt it with the best necklace you can get your hands on. Most women will give an arm to have a figure like you. Previous story Investing 101: Who is Timothy Sykes? Next story Can Flaherty End Mortgage Rate War?